Theobroma cacao (chocolate) is an important economical product. We used next generation sequencing technology to sequence the entire chloroplast region from ten cacao genotypes. We found SNPs and SSRs that are useful for identifying the different varieties of cacao. Microsatellites or simple sequence repeats (SSRs) are thought to occur mostly in non coding regions of genomes; however recent genomic studies show that SSRs are commonly distributed in coding regions. With Armando Geraldes and Quentin Cronk, we examine the evolutionary significance of SSRs located in protein-coding regions of the model species Populus trichocarpa. Expansion or contraction of SSRs in protein-coding regions may lead to a gain or loss of gene function, and because SSRs have fast mutation rate, they may provide an evolutionary advantage of fast adaptation to new environmental changes as "evolutionary turning knobs"
Using the Populus trichocarpa genomic data, we selected exonic SSRs with important adaptive functions. 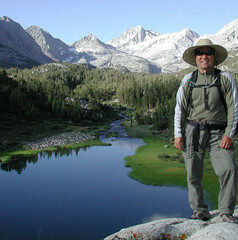 We surveyed over 100 individuals across the entire coastal range of North America. We compare the mutation rates of these exonic SSRs to intergenic ones with similar repeat motifs. In addition, we compare these SSRs across different species of Populus and examine the pattern of SNPs variations that are adjacent to the SSRs. The population structure of the Canarian endemic bird-pollinated Lotus (section Rhyncholotus) is not well understood, which may interfere with conservation efforts to maintain its threatened variability. With Isidro Ojeda and Quentin Cronk, we designed SSR primers to determine population differentiation within and among the four Rhyncholotus species. In addition, we investigate the population structure of its closely related species, the non-threatened and bee-pollinated L. sessifolius. The former changes color from yellow to orange presumably after pollination; the latter remains yellow throughout. We want to determine if population structure varies among these three types of Canarian Lotus. Specialization to different pollinators has been suggested as a major cause of assortative mating between plant species though recent studies suggest that hybridization can cause this barrier to reproduction to break down. 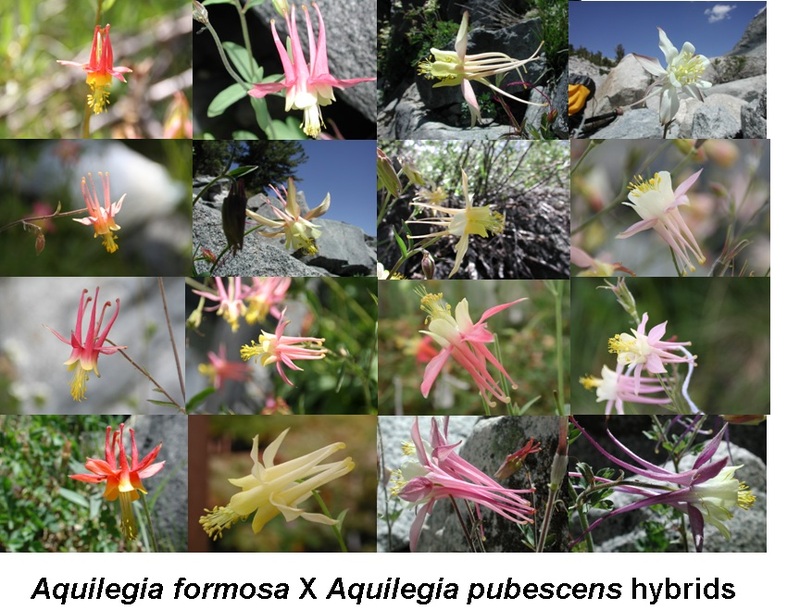 My PhD thesis advisor, Scott Hodges and I directly measured mating patterns in a natural hybrid zone between Aquilegia formosa and A. pubescens using paternity analysis. We found that plants are significantly more likely to mate when they have similar morphology and when they are in close proximity to each other. Specifically, we found that similarity between plants in spur length, flower orientation and spur color each significantly increased the probability of mating. . We found that extrinsic selection owing to habitat differences is also an important reproductive isolating barrier between these species. In contrast, we found no evidence of postzygotic intrinsic selection against hybrids. Our results illustrate how changes in flower morphology and their affect on pollinator visitation and pollen transfer can promote speciation. • Yang, JY and SA Hodges. 2010. Strong Early Inbreeding depression selects for high outcrossing rates in Aquilegia. International Journal of Plant Science 171 (8): 860-871. • Kay, K, C Voeckel, JY Yang, K.M. Hufford, D.D. Kaska and SA Hodges. 2006. Floral characters and species diversification. In: L. Harder and S. Barrett, eds. Evolution and Ecology of Flowers. Oxford University Press. • Yang, JY, BA Counterman, Eckert CG and SA Hodges. 2005. Cross-species amplification of microsatellite loci in Aquilegia and Semiaquilegia (Ranunculaceae). Molecular Ecology Notes 5 (2): 317-320. • Hodges SA, M Fulton, JY Yang, JB Whittall. 2003. Verne Grant and evolutionary studies of Aquilegia. New Phytologist 161: 113-120. • Bohm BA and Yang, Ji Yong. 2003. Secondary Metabolites in Madiinae. In: Carlquist, S, BG Baldwin, and GD Carr, eds. Tarweeds & Silverswords: Evolution of the Madiinae (Asteraceae). Missouri Botanical Garden Press. • Hodges SA, JB Whittall, M Fulton, JY Yang. 2002. Genetics of floral traits influencing reproductive isolation between Aquilegia formosa and A. pubescens. American Naturalist 159: S51-S60. • Bohm BA, JY Yang, JE Page and DS Soltis. 1999. Flavonoids, DNA and relationships of Itea and Pterostemon. Biochemical Systematics and Ecology. Jan., 1999. 27 (1): 79-83. • Swenson, Ulf, Yang, JY, Bohm, Bruce A. 1999. Flavonoid chemistry of Blennospermatinae, a trans-Pacific disjunct subtribe of Senecioneae (Asteraceae). Plant Systematics and Evolution 216 (3-4): 231-241.